Right…You still with me? Then let’s get on this thing! So what the heck happened this year? Well…SO much happened. I’m going to try to be as honest as I possibly can be for reasons I will get to when I get to the bit where I am talking about where I want to go next year. This is more difficult than I thought it would be so please excuse any ridiculous rambling and weird turns of thinking…. 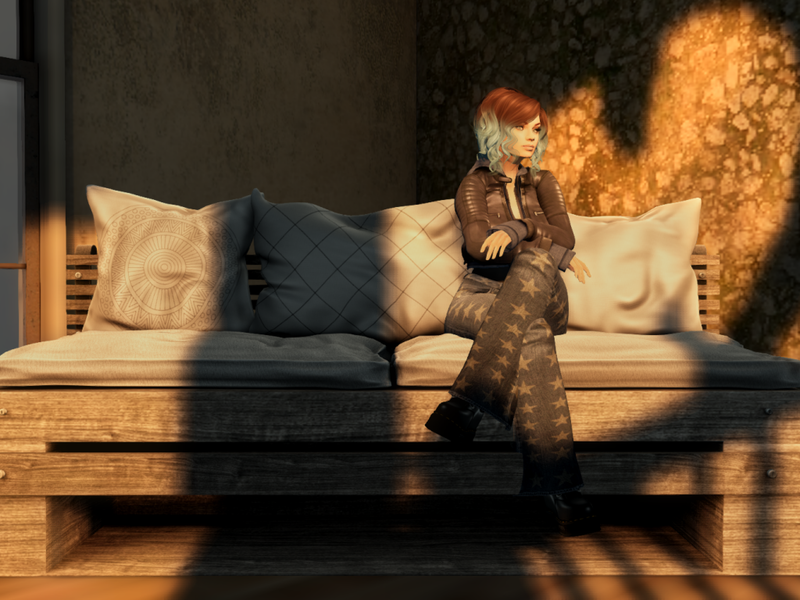 I’ve always had some seriously blurred lines when it comes to my First Life and my Second Life stuff so I’m shoving this stuff in here real quick so you kind of understand the things that happened in my Second Life as a result of my First Life. I guess I’ll start with the biggest and most difficult thing I’ve been dealing with this year and that is that I had a bit of a mental breakdown about halfway through the year and ended up being sent to a clinical psychologist for diagnosis and treatment. It has been a really difficult journey and I am still working really hard on my mental health. I feel a huge amount of shame and embarrassment about what I perceive as my failure to keep myself together so even now I downplay a lot of what happened. Basically, most of my anxiety stems from this idea that I can never be good enough…or even just enough. And so I will work myself to the point of exhaustion and then just keep going until eventually I fall over. There are other things connected with this but I won’t bother you with them right now because I think I have given this part enough page space but if you would like me to talk about this another time, let me know and I will try to fill you in with my progress. I have achieved a lot this year. I managed to win first place in a competition with one of my SL photos. I took part in a group exhibit, put together a pop up gallery and curated and held my first solo exhibit. I spent a year studying audio at the Conservatorium of Music. I developed a new idea that had been tossing around in my head for quite some time in order to make interactive paintings by adding proximity sensors and audio compositions in order to augment the reality of the viewer. To transport them, if you will, into a different space. I currently also have audio compositions at Southbank that I made in order to allow people to experience the place through my memories of it through time. These are triggered using a mobile phone app and headphones. I spent some really long days and nights recording in different types of forests. It was pretty exhausting but ultimately satisfying. I’d really like to explore some more environmentally based artworks that rely on the recordings of the natural world and work more with audio composition but I may have to wait a little in order to do so due to the heavy workload I have coming up this year. Wow…where to even start with this. It’s been…a journey. I started the year sitting on a BVN discussion panel about non-traditional blogging (in which I had great difficulty getting my in game voice to work to start with…so THAT was a bit embarassing)¹. I then continued on to guest on a Podcast called, “The Avatar’s Voice” with my good friend Mondrian talking about all things virtual world related². I showed up in a article called Casja’s Choices³. I managed to take part in two art exhibits in world. I kept up the photography and showed my work in RL exhibits. I kept up with the videos (sporadically) and the blogging (even more sporadically). I lost a friendship that was very dear to me. I was…incredibly hurt and confused for a quite awhile and so spent a lot of time avoiding people in SL. I felt my social anxieties kick in and I tried reaching out to a couple of people but couldn’t stop beating myself up long enough to let them in. So yeah…screwed THAT one up too. But then…there were the people who stayed. The people who kept hammering at me no matter how many walls I put up to hide behind. People who just quietly persisted in being who they were and called me to them time and again and to those people, I am truly humbled and thankful. I managed to make 17 videos. 15 of which were totally SL related content. The other two were about my RL art which is always related to my SL art. It doesn’t seem like a lot, but each time I did a video I tried to learn something new about editing or presenting a video or audio. I’m proud of that and its really nice to see that my subscribers have doubled over the year. So, it’s at this point I’d usually split this blog post into two parts because this one is getting pretty long, but I’m not going to do that today. If you have made it this far…WOW! Good on you!! If I meet you in RL, I owe you a drink. The drink will probably be water. From a tap. But I’ll put ice in it to fancy it up a bit for you!! 1. Finish my Masters program. This is by FAR the things that weighs most heavily on my mind. I am now 2 years into my designated 3 and I am at the point now where I am looking forward to the end. 2. Strive to make my mental health a priority. I am working on this. Every day I remind myself, one moment at a time. Stop. Breathe. Catch and stop the negative thought cycle so you don’t spiral out of control. I owe it to myself and I owe it to the people around me. And most of all…POSTIVE…MENTAL….ATTITUDE is my new mantra. 3. Make more time for friends and family. Even to just spend 10 -15 minutes every week or two reconnecting with each of my friends and extended family (not my immediate family, my partner and children get unlimited access to me unfortunately for them) and listening. Just to let them know I am there, thinking about them and that they are important to me. 5. Increase the consistency and frequency of my vlog and blog posts. Ideally I’d like to post once a week but I know what a heavy workload that is with everything else going on in my life so I would like to aim for once every fortnight. That would bring me to 26 vlog and blog posts for this year. 6. Interact more with my SL community. I stopped halfway through writing these goals to read Strawberry Singh’s new blog post (as aside, I was totally thrilled and delighted to hear of her big news which I won’t spoil here but go check it out with this link)…and I am taking this idea from her post and really want to do it. I know that when someone comments on my blog or my vlog, it gives me a thrill every time. It’s really lovely to have someone reach out to you. So…this year, I would like to stop being a lurker and make sure I am commenting at least once a week on someone else’s blog or vlog. 8. Find and secure a supervisor to take me through the next stage of my academic studies. Finding a supervisor that suits you and is going to be what you need for what you are going to do is like going on a long and exhausting dating show. This is someone who you need to get along with and who will be what you need to get through a rigorous course of study over a long period of time. So you really need to spend some time searching out that person and making sure you both suit one another and can work together. And now…for me, it’s time to find that person. 10. Lastly, but not leastly…Don’t forget my physical health as well. I am starting this by having a dry February. No alcohol this month. After the first week, I will add to it the no C (caffeine), R (refined sugars), A (Alcohol) and P (processed foods) 6 week plan that I completed last year. It was one of the best things I did for myself to kick start a health plan and I want to do it again. Throughout the year, the most important aspect of my health I need to take charge over is my sleeping. I do it very badly. Just those things. It’s not too much, but it’s enough. So there you go…that is the end of one year and the beginning of another…Wherever you are, however you have come to me, I hope this finds you hopeful and joyful. I hope your 2019 continues to be hopeful, joyful, incredible, delightful and wonderful. And for the moments it is not, I hope for you strong hands to pick you up, and the courage and strength to keep walking on.